Join three fantastic felines as they embark on the adventures of their (nine) lives in this colorful Chapters book, filled with photos and fun facts. Meet Dusty, a Siamese cat who gives the phrase "cat burglar" new meaning. Take to the seas with Skatty, a sailor and cat hero. And trek across the United States with Vladimir, a real-life cat explorer! 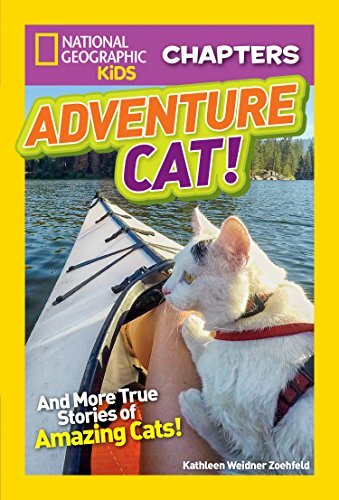 These amazing--and TRUE--stories are sure to keep cat lovers and adventure fans on the edge of their seats.